24:30 Alfonso Osorio: Can Leftist governments in Latin America survive outside the market? Can the NDP return to its leftist roots and protect working class people’s interests? We hear from candidate supporters from across Canada and ask who they support? What they think of the contest and can it help rebuild the NDP? 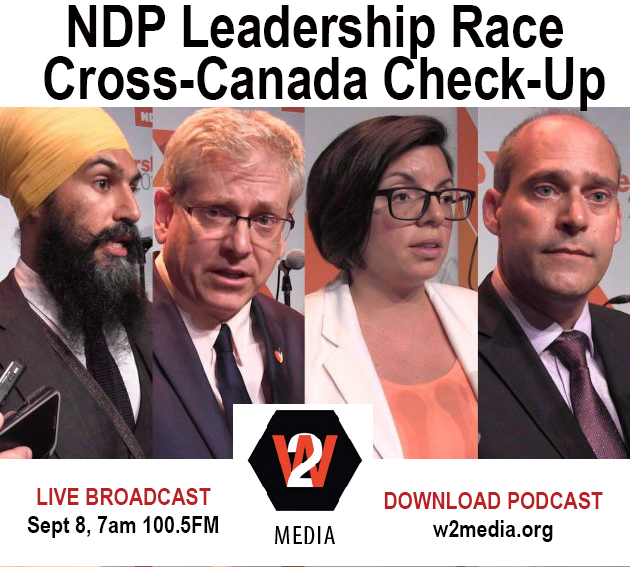 The NDP leadership candidates will be in Vancouver at the York Theatre on Sunday, 11:30-1:30pm (REGISTER) or tune in at 12 PM PST sharp on Facebook. Sunday at 7-8PM Al Masjid Al Jamia Vancouver, 655 W 8th Ave.